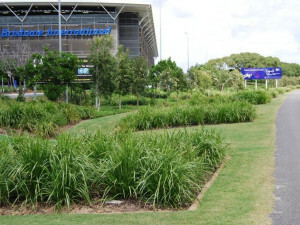 Much of the Brisbane Airport site is very sandy with poor water retention in the soil. Management at BAC were actively looking for ways to reduce irrigation water consumption, whilst at the same time retaining and presenting an attractive landscape appropriate for such a highly visibile site. Sanoplant was presented to them and, after detailed investigation by an independent soils consultant, Sanoplant was included in the specification for the garden beds and turfing. After initial irrigation to establish the new plantings, there was little further irrigation, the expectation being that the amended soil would retain adequate moisture from rainfall events. Now, some years later, the plants and turf are visually healthy… without the need for additional irrigation. There have been good rainfalls, but the Sanoplant is no doubt assisting to store plant available water in the soil, for longer periods. And Sanoplant continues to be specified in the on-going landscaping at BAC. Apart from the savings in water and applied nutrients, the use of Sanoplant achieved other significant cost savings; as the Sanoplant was incorporated into the sand with a specified compost mix, there was no need to import thousands of cubic metres of topsoil to the site! 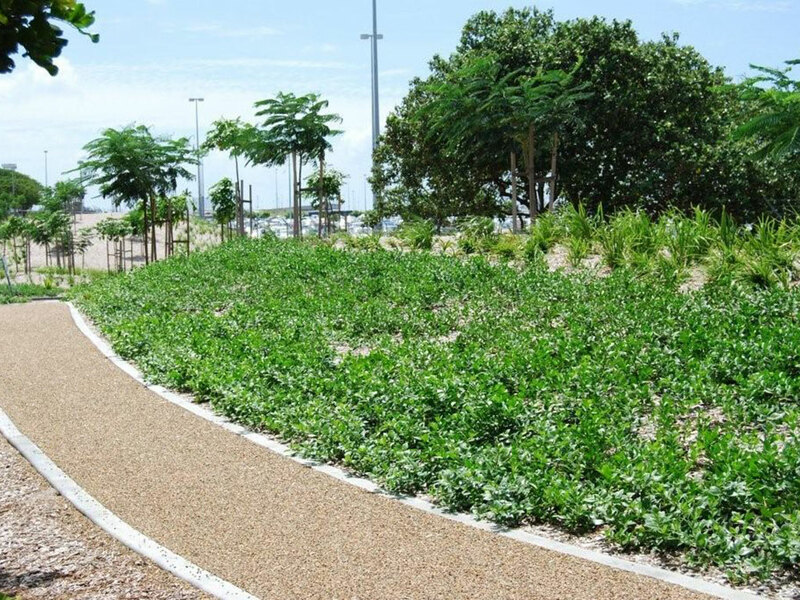 This saved the cost of topsoil and the related transport and handling costs… all good for the environment!